Celebrate Mardi Gras Ukrainian style! All are welcome to the 8th Annual Ukrainian Carnival Dinner and Dance. 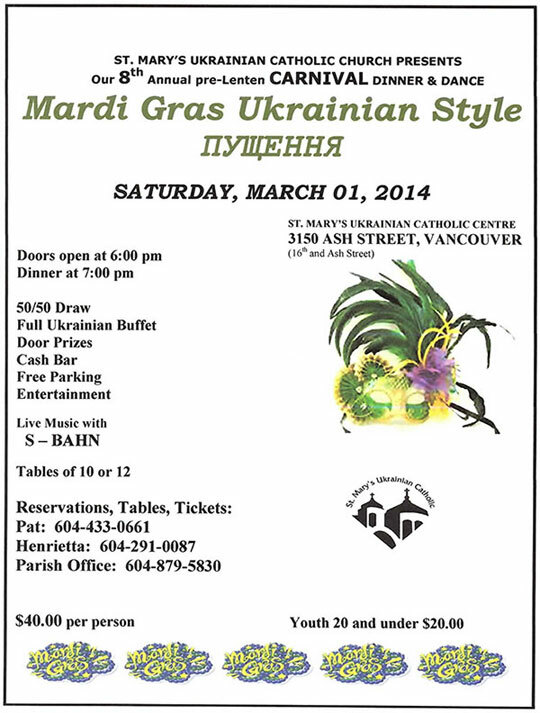 Where: Ukrainian Catholic Centre, 3150 Ash St. (16th and Cambie), Vancouver, B.C. Tickets $40 per person and less if you are under 20 years of age. Call 604.879.5830 or 604.433.0661. Call soon as this event sells out.